I can’t think of a better place to snag a few last gifts for the fashion savvy women in my life other than my personal favorite, Topshop. I knew I would be able to find just the gift I was looking for and a few extras to add to my Christmas list! 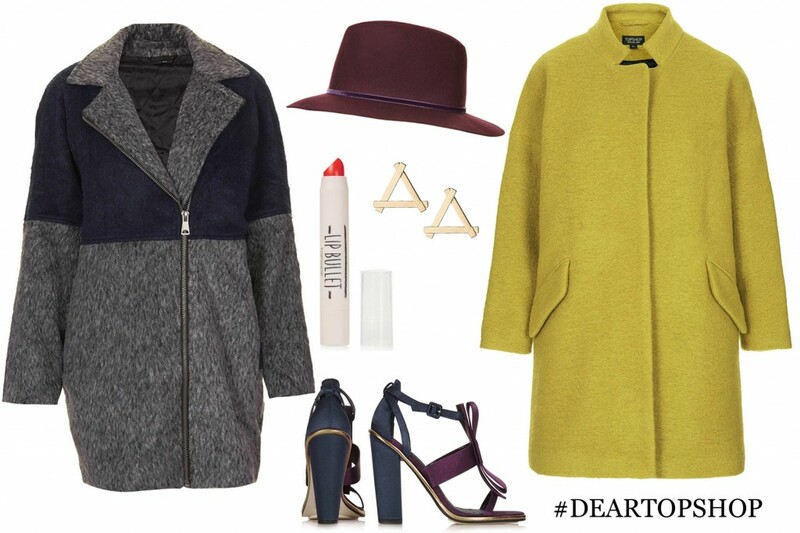 To help you find the perfect gift, Topshop has launched a new campaign called Dear Topshop. Here you will be able to narrow your search down to the style you are looking for and for what purpose. I chose A gift that will wow & Being ahead of the trends and found plenty of options! Along with the gift guide, Topshop is also giving their customer a chance to win an amazing giveaway. To participate Topshop is asking you to create a holiday party inspired Pinterest board that can be entered in a competition to win front row seats at the next TOPSHOP Unique London Fashion Week show, tickets to the launch event of the next Kate Moss collection, and the opportunity to design a dream pair of Topshop shoes. Sounds pretty fun right? See further entry details below! 1.Create a moodbaroad on Pinterest dedicated to your perfect Christmas day. We’re talking decorations, your dream dress, tree of choice – so go ahead and pin to your heart’s content from Topshop.com and other place that inspires you. 3. Submit your board here and your done! Goodluck and thanks for taking time to enter! What a great giveaway!! Will definitely be entering! Love your blog, Mary! Merry Christmas! Love all of these but I especially love that green coat!! Love the gingham skirt and mittens! Love the burgundy dress. I have a burgundy peplum top from Topshop that is extremely similar in style.